Shoot footage for "Cities Tour" program airing in December. 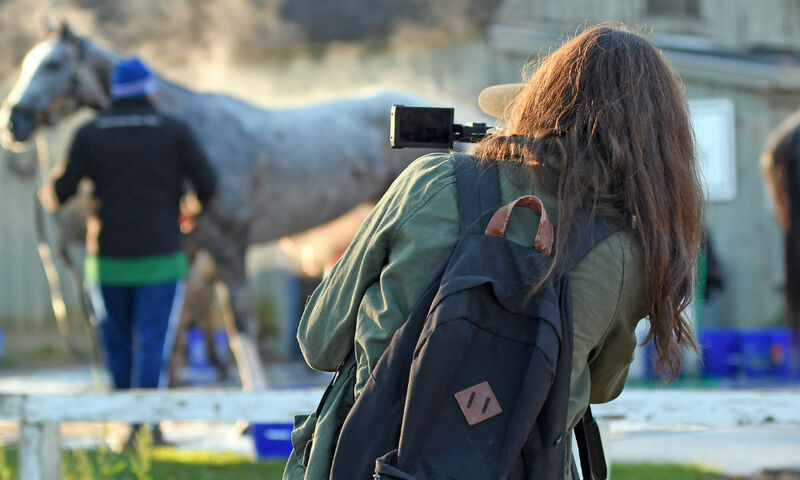 C-SPAN producers Ashley Hill and Tiffany Rocque got up close and personal with horses on a chilly fall morning at the Oklahoma track during their week of filming in Saratoga Springs during the last week of September. 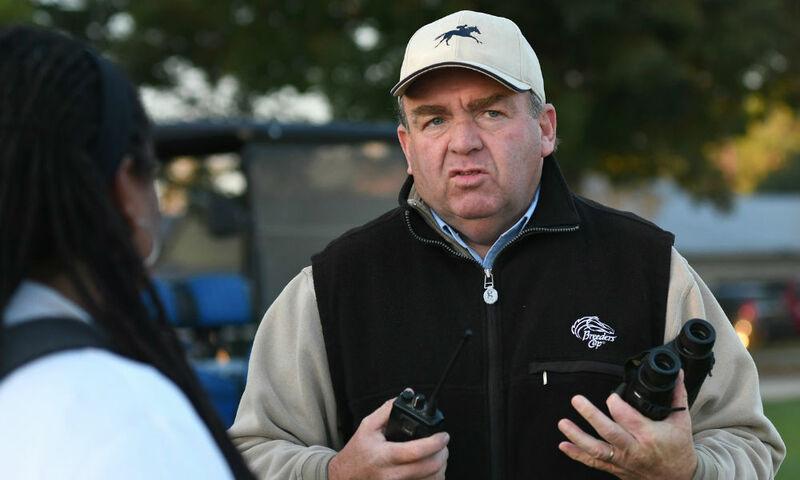 After arriving in the darkness at 6 a.m. on Sept. 23, they met up with trainer H. James Bond and followed his horses and riders from his barn across Nelson Avenue, past the main Saratoga Race Course track, then across Union Avenue to the Oklahoma training track. Hill and Rocque spoke with Bond as they watched the early morning work-outs at the Oklahoma. 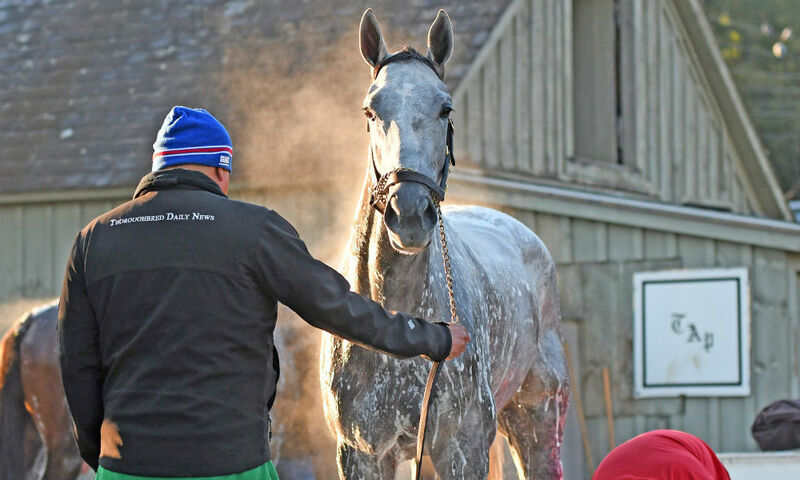 The two C-SPAN producers then stopped outside trainer Todd Pletcher’s barn to watch the horses get bathed after their workout. 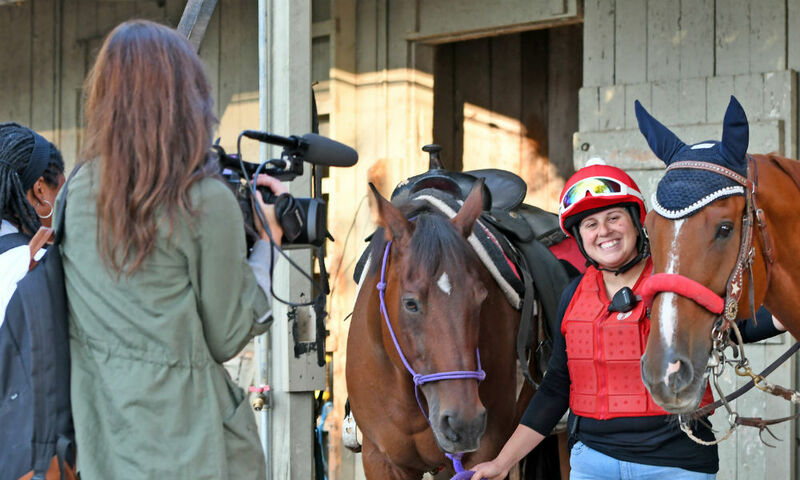 Hill and Rocque interviewed outrider Natalie Rutigliano by her barn, and gave peppermints to her horses K.C. and Wally. 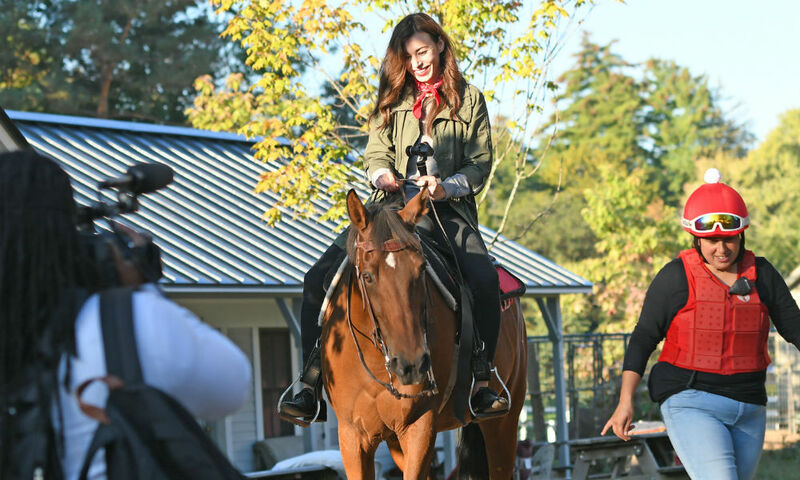 Hill got to climb up into the saddle and briefly ride K.C., under Natalie’s watchful eye. 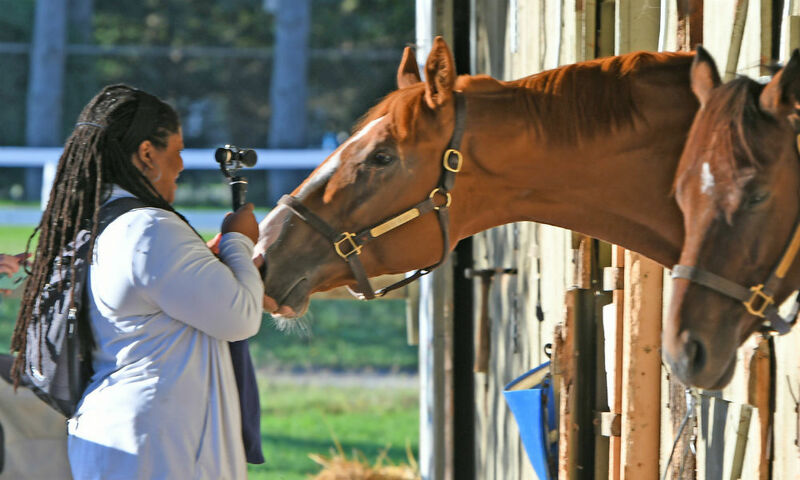 They stopped by jockey-turned-trainer Robbie Davis’ barn, who told them why he loves Saratoga—an oft-heard theme. Upon leaving, as the sun had risen and warmed the chill air, producer Joe Teeples was arriving to interview Alan Carter, historian at the National Museum of Racing and Hall of Fame, at the original Horse Haven track that John Morrissey opened in 1863, before the current track was built across Union Avenue the following year. 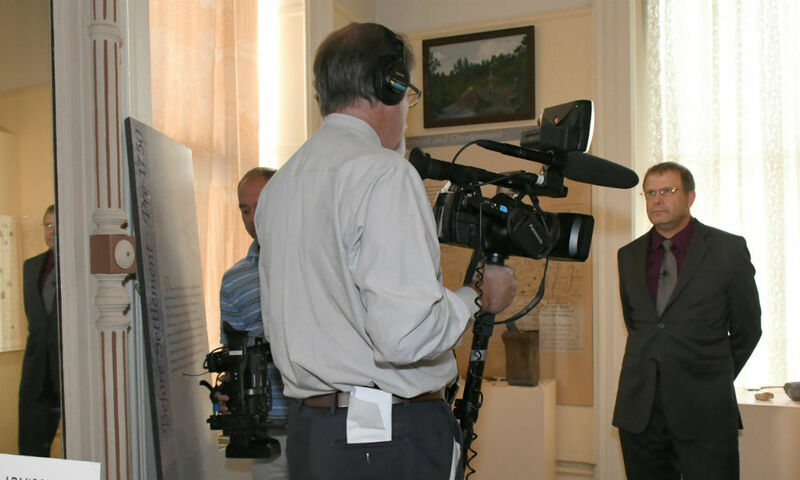 Saratoga’s “history and non-fiction literary life” will hit the national spotlight in December, when C-SPAN airs the interviews and videos that were shot at various locations throughout Saratoga County. 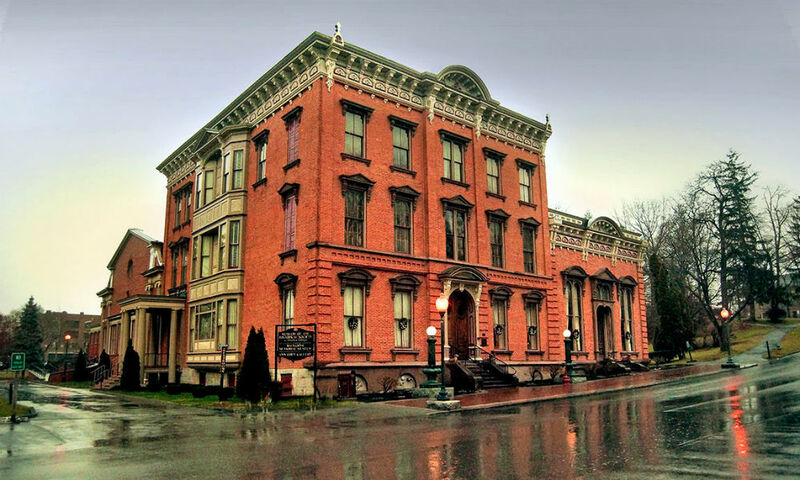 C-SPAN’s “Cities Tour” program will feature Saratoga on the cable network’s history channel, American History TV, and non-fiction book channel, BookTV, during a “special Saratoga Springs weekend” on Dec. 16 and 17. 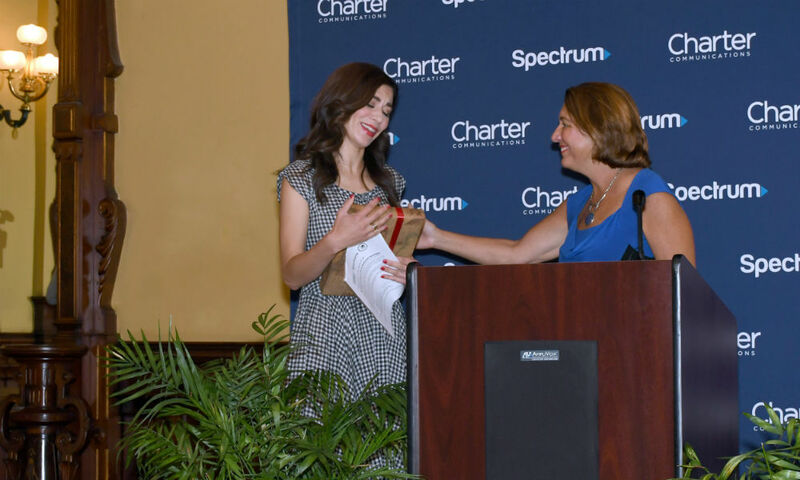 Crew members were welcomed by community leaders at a press conference Sept. 22 at the Canfield Casino, one of the historic sites to be featured. C-SPAN got right to work, as Teeples interviewed Saratoga Springs History Museum director Jamie Parillo on camera by a historic exhibit. 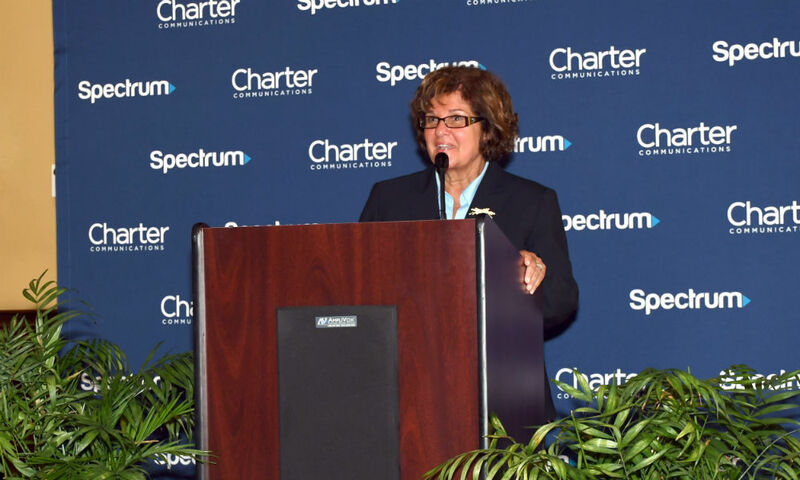 Mayor Joanne Yepsen; state Senator Kathy Marchione; Charlie Williams, vice president of government affairs for Spectrum; and Hill, producer and community relations representative for C-SPAN, spoke about the project. Hill said she hoped to speak to a class at Skidmore College and do other community outreach. 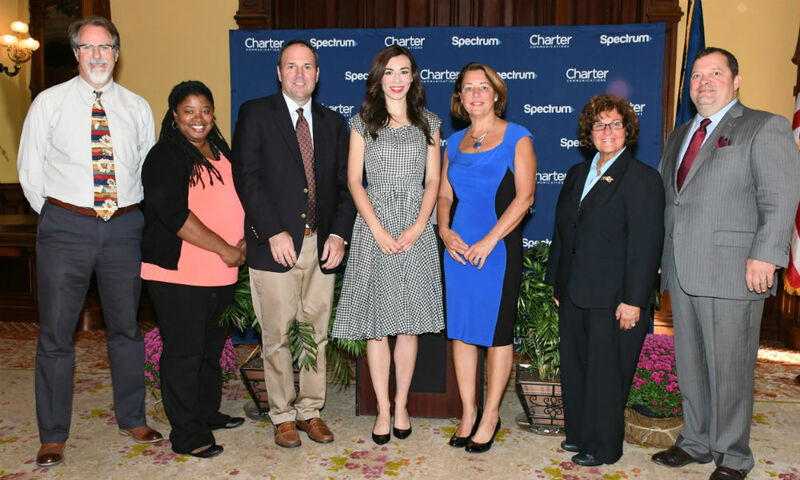 Mayor Yepsen thanked C-SPAN for profiling the city and presented Hill with Saratoga Springs: A Centennial History, a book by Saratoga Living Heritage editor and historian Field Horne. Horne was also interviewed by the C-SPAN crew. Congressman Paul Tonko discussed the city’s music, dance, and other programs in the arts when he was interviewed at Saratoga Arts. Congresswoman Elise Stefanik, whose district includes the Saratoga National Historical Park in Stillwater, was to be interviewed as well. Saratoga’s role in the nation’s history is a focus. Along with the battlefield and track, the crew’s itinerary included visits to the Saratoga Room at the Saratoga Springs Public Library, the National Museum of Racing, the Hall of Springs and Saratoga Spa State Park, and Yaddo, the renowned artists’ retreat. The history of Saratoga’s mineral springs will also be featured. C-SPAN producers interviewed local historians and non-fiction authors, including Andrew McKenna, author of Sheer Madness: From Federal Prosecutor to Federal Prisoner, for BookTV. A Schenectady native and Albany Law School graduate, McKenna writes about his fall from a high-ranking government attorney to an inmate, as a result of an opiate-turned-heroin addiction and robbing spree. Historic writers will also be featured, such as Solomon Northup, author of Twelve Years a Slave, his memoir about being lured away from Saratoga and sold into slavery in the 19th century. The Grant Cottage State Historic Site in Wilton, where President and Civil War Gen. Ulysses S. Grant wrote his memoirs before his death, is also featured. Though it’s a little outside of Saratoga Springs, the cottage in Wilton was added because it was recently named the 24th New York State Literary Landmark, said Hill. Grant was a literary figure, though most people may not think of him as a writer. 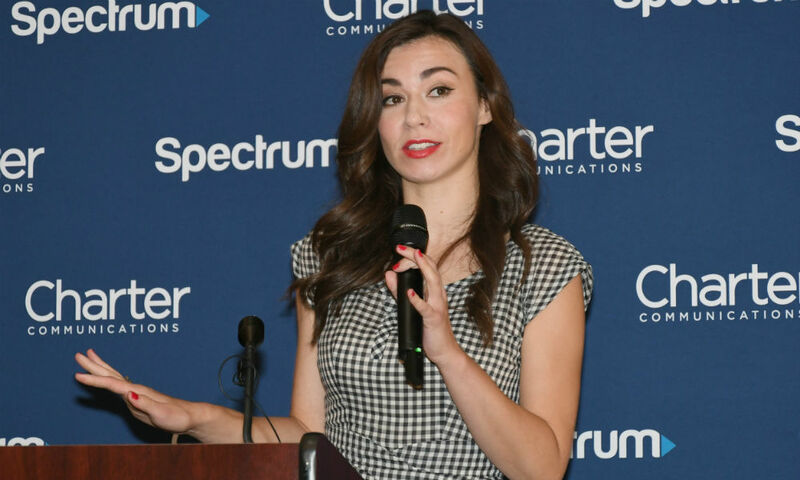 “Just as C-SPAN strives to make Washington D.C. accessible to the rest of the country, the C-SPAN ‘Cities Tour’ puts a spotlight on unique cities around America and introduces the rest of the country to what makes a place like Saratoga Springs so great,” Hill said. Since 2011, Hill and her crew have traveled across the country to showcase one city a month. They were recently in Burlington, Vt., and Portland, Maine, with the east coast crew, and she joined the west coast crew to highlight Sioux City, South Dakota. “Every city has a story,” Hill said. 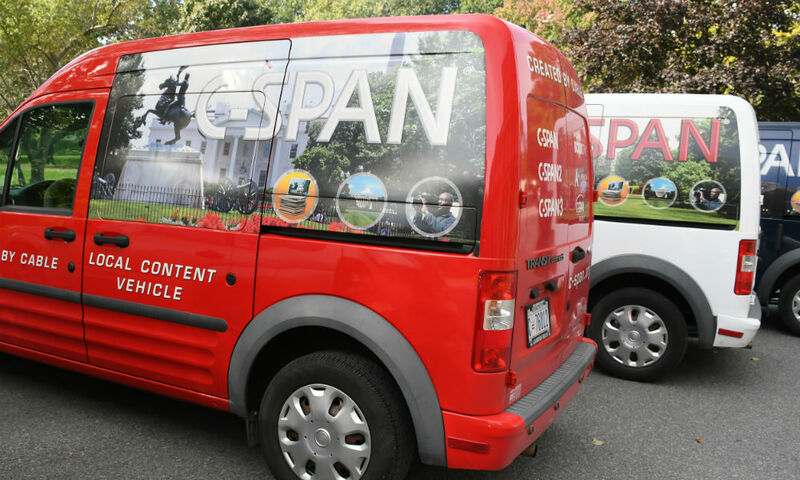 C-SPAN visits the city for a week and works with the local cable station in producing the segments for a national audience. The goal is to engage viewers with the history and literary heritage of each community. 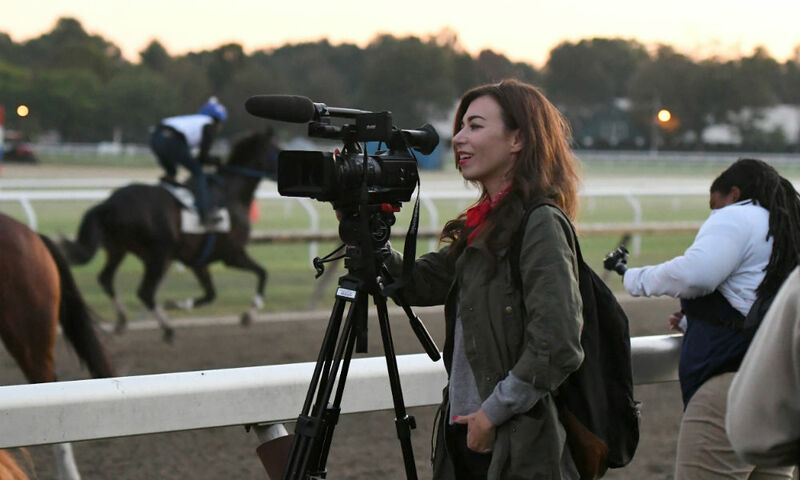 Segments recorded in Saratoga, from Sept. 21 through Sept. 26, will be aired Dec. 16 and 17 on BookTV on C-SPAN2, Spectrum channel 226, and American History TV on C-SPAN3, Spectrum channel 227, in the greater Saratoga region. 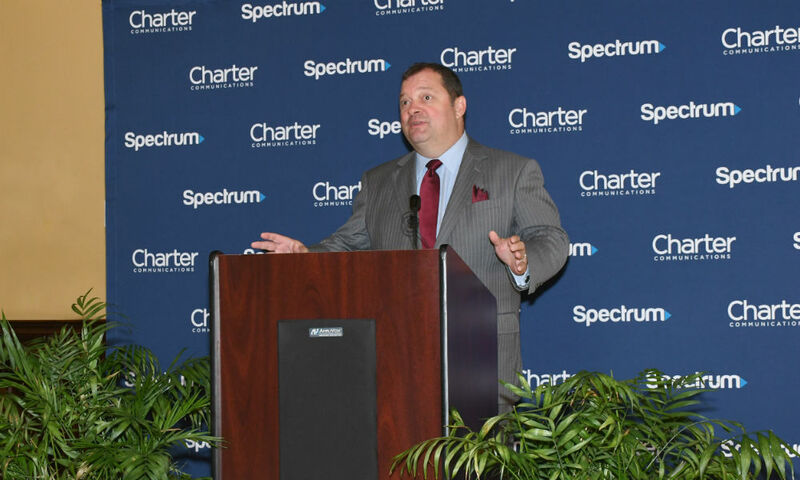 For more information, visit c-span.org/citiestour and follow the program on Twitter @CSPANCities. Hill said that “Cities Tour” will create a special landing page for Saratoga.